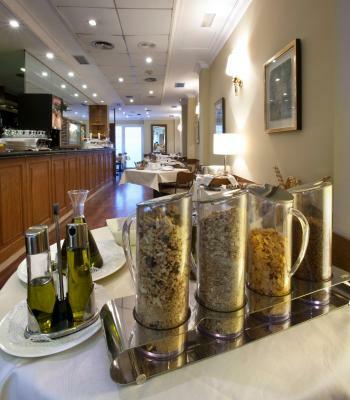 Lock in a great price for Suites Barrio de Salamanca – rated 8.4 by recent guests! Bed was comfy. Room was nicely warmed. Good water pressure and heat. The whole experience was well worth the price, especially the staff who were most Gracious! The room was big, comfy bed and the view from the balcony was great! The staff was super friendly and helpful. 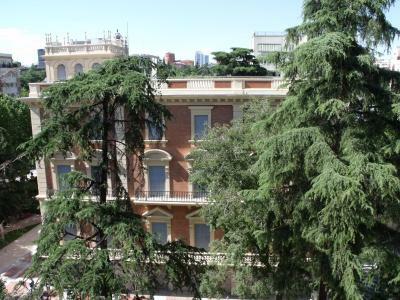 Its also located in the Most upscale part of Madrid for shopping yet the price for a one bedroom suite with comfortable sofa couch was a great deal. Parking on site for a small car available. 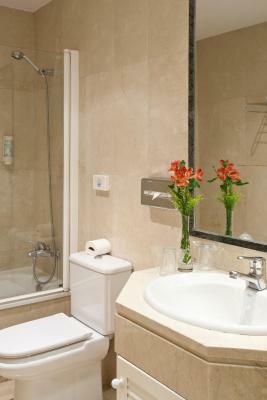 My room was spacious and clean, with excellent shower pressure in the bathroom (a very important factor! ), very comfortable pillows, and an easy-to-use heating/cooling system. All in all, a very comfortable stay, and excellent value for money! The staff was wonderful and helpful. There is also a small grocery close by. Convenience to US Embassy (2 blocks away). Hotel is on a side street off of Calle Serrano, so noise level was low, there's also several good restaurants in the neighborhood as well as bars where the locals tend to go. There are several grocery stores in the area (google it) and a really nice little bakery 2 blocks away (if you choose not to opt for the hotel's 12 EURO breakfast). It's just far enough away from the tourist bustle downtown, but close enough to be able to catch a bus or a cab to the center of Madrid. This was my second stay already, and as usually enjoyed it a lot! The suites are large and well furnished. The bed was awesome, such a good sleep! 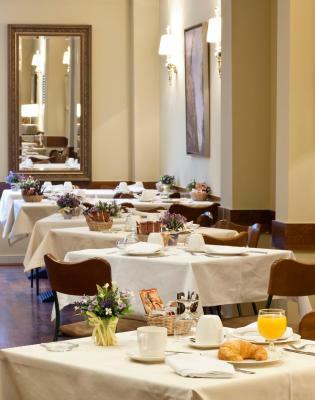 If you are not a typical tourist first time in Madrid, looking for some good hotel in barrió Salamanca then this is your perfect choice. There are a lot of restaurants right next to it and even more in 10-15 minutes walking distance. Top Night clubs are not far as well. The hotel located almost on Serrano so walk down the street for all the trendy shops. The location of this property is particularly close for any business one must conduct at the USA Embassy. The on-site self park is of benefit, too. Multiple cafes, restaurants, and express grocery nearby. The only good thing about this hotel is location. Nothing more. Suites Barrio de Salamanca This rating is a reflection of how the property compares to the industry standard when it comes to price, facilities and services available. It's based on a self-evaluation by the property. Use this rating to help choose your stay! 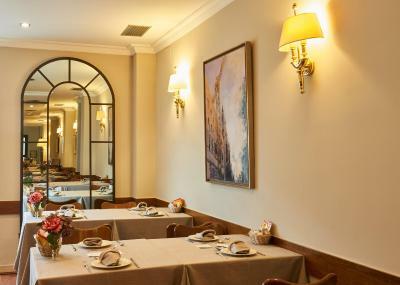 The Suites Barrio de Salamanca is in one of Madrid’s main commercial districts, a 5-minute walk from the Lazaro Galdiano Museum. 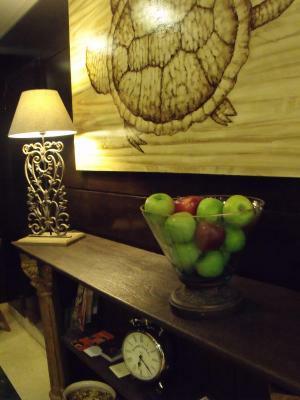 It has free Wi-Fi and air-conditioned rooms, most with a private balcony. All rooms at the Barrio de Salamanca Suites have a sitting area with satellite TV. The private bathrooms include a hairdryer. The hotel has a café-bar where you can get a snack or a drink. 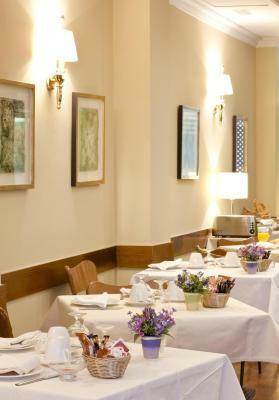 The staff at the 24-hour front desk can help you to plan your stay in Madrid, and there is also a car rental service. The Plaza de Colón Square is just a 10-minute walk from the hotel. Gregorio Marañon and Nuñez de Balboa Metro Stations are both less than half a mile away, and provide direct access to the center of the city. 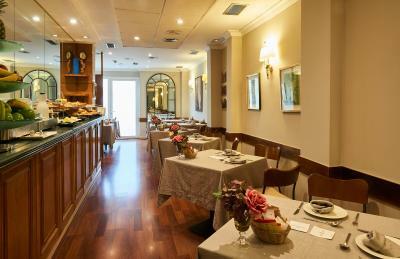 When would you like to stay at Suites Barrio de Salamanca? This room has a sitting area in the room and a private bathroom. The bedroom has a queen bed. Public parking is available on site (reservation is not needed) and costs EUR 20 per day. Has a bedroom, private bathroom and separate lounge. Choose between 2 twin or one queen bed. The triple room has a bedroom (with 2 twin beds or a queen-size bed), a private bathroom and a separate sitting room. In the sitting room there is a sofa bed for the third person. The family room has a bedroom with a queen bed or 2 single beds, a private bathroom and a separate living room with sofa bed. This room is only available for family's with 2 adults and 2 children under 12 years of age. This air-conditioned room features a queen bed and a private balcony with garden views. It has flat-screen satellite TV and a private bathroom with a hairdryer. This room includes 1 double or twin bedroom and a living room with a sofa bed. The bedroom includes an private bathroom. This family apartment comes with 1 room with 1 double bed or 2 single beds, 1 bathroom and a separate living area with a sofa bed. There is also a fully-equipped kitchenette. Please note, this room is only available for 2 adults and 2 children under 12 years of age. Our hotel was built from an old students residence full of history where around 1900 spent long seasons personalities like Ortega y Gasset, Unamuno, Juan Ramon Jimenez who began here his well known book "Platero y yo". 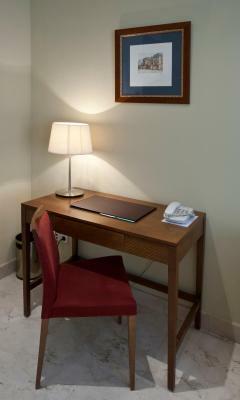 House Rules Suites Barrio de Salamanca takes special requests – add in the next step! One child from 2 to 11 years is charged EUR 25 per person per night in an extra bed. Suites Barrio de Salamanca accepts these cards and reserves the right to temporarily hold an amount prior to arrival. Nothing at all, but if it’s your first time in the city and you want to see all the standard tourist attractions, better consider a hotel around Sol and Grand via, as this location would be too far. Loved the balcony overlooking the garden. NOISE: the elevator is EXTREMELY noisy (it starts with BBBBAM!). And all the rooms are located around elevator. It means that you won't sleep at night. Really, it's not possible. We stayed on 4th floor of 5 - noise is huge. On 5th it will be just impossible even to stay, not talking about sleeping. The floors are without carpets and beds are moving easily and with impressive noise a well. Every movement of you or your partner at night - you are not sleeping. I'm even not talking about cleaning lady - when they start working (early in the morning on Sunday) it becomes just a hell. And the street view guarantees you a total noise from 12 p.m. up to 3 a.m. It's a night club nearby and guests are making SUCH a NOISE that you can't sleep even in ear plugs. No way. SMELL: the so called "suites" (funny word for this place) have kitchennets (BTW, they're closed, so you must beg before you use them). The level of guests of this 4* hotel (WHAT? 4??? Who gave them to this place???) is not that high, so we've been enjoying the chicken noodles smell during all our stay - not only in all rooms but also from the bed linen. The sofa is sticky! That's disgusting. NARROWNESS: you just hardly move in this "luxury suite" as they call it on the web-site. They have 4 huge wardrobes. They're just obstructing the passes. 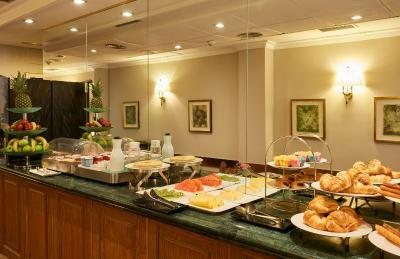 To move in each and every place of this suite you need to gather in your stomach. FRAUD? : We paid for the most expensive type of rooms here ("De Luxe"). And we've got the smallest! room on the noisy floor. We've checked the scheme. And small things like: there's an iron board but no iron (again, you need to beg them first), prices for mini-bar of 7* hotel, no assistance with begs (they don't even move to help), long check-in procedure, taking prepayment right after the booking, extremely old and ruined furniture... etc, etc. Maybe choice at breakfast could have been larger. Not particularly modern furnishings or decor, but more than compensated by room sizes and room amenities. Price reflects this. Large suite, lounge plus bedroom, air conditioning, terrace, staff were pleasant. Good value for money, but maybe influenced by time of year (end of July, most people on holiday, so rates cheaper). Location is good. Salamanca is a good area to stay in Madrid, outside of the old center. Many restaurants, cafes, bars, shops in a slightly upmarket part of town. The staff was not so friendy. I heard the cotinuous noisy sound of machine or something. The location and the bed was good. Room size. Bedroom and Lounge, both a good size and good value for the price. Location was ideal for me. Lots of cafes, bars and restaurants nearby. Handy for work... 5 minutes walk. Room was a little cold. There are a few mandatory steps to reach the main floor (although there is a lift after that). Also, breakfast was not included (which was OK once we discovered the two supermarkets near by...). The location was excellent, near a top-rate museum, many good and authentic places to eat, embassies, and shopping. Also the room space was large, and well laid out.